"Infinite Velocity - Destiny 2 Clan"
Welcome to Echo Company 305 also known as Infinite Velocity a clan for Destiny 2. We are a mature, laid back group focused on end game progression and enjoying all that Destiny 2 has to offer. We encourage all our members from the100 to join our discord and join in the fun!  Discord is a free voice and text chat app for gamers and works on both your desktop and phone (we will primarily be using Discord for it’s chat features). While the chat function of the100.io works, it's very limited. Discord has a great mobile app that allows our members to be connected even when your not online playing with your clanmates and friends. Come join the banter as we complain about not being able to play Destiny 2 while at work! Using Discord is definitely encouraged but it's totally an option for our members to use and have. We want to provide another way to keep our group engaged as it’s great to keep in touch and chat about any Destiny 2 news in real time. Click the Discord logo above to join us! Having fun is a requirement! If your interested in joining our Bungie Clan click on the banner above. Infinite Velocity is a Destiny 2 clan for the PlayStation 4. We are a mature (18+), laid back group focused on end game progression and enjoying all that Destiny 2 has to offer. We are a North American clan in the EST timezone but we do have CST/PST members as well. We encourage our members to join our public group @ https://www.the100.io/groups/2185 in order for you to create events that members can join or for you to join one of the existing events our members have setup. We feel using the100.io is important so that we can all help each other with our schedules events, not to mention you make great friends doing it! We also have a Discord server as a means to keep in touch with fellow clan mates when not playing D2! Come join in the fun and banter! If your interested in joining us please contact Rasgrizz for an invite! Best ways to contact Rasgrizz are on PSN, or on the Clan Discord page. All players and skill levels welcome! Last character to make 700 so running blind well, ascended challenge, spider bounty, nightfall and revelry stuff if the group wants. Promise chill runs and no stress.Thanks to all who join. Quick 100k NF run. Then maybe grind a few Vanguard strikes or check out the new "Revelry" event. Knocking out weekly invitation then maybe some strikes or Gambit if anyone wants to join up.